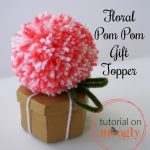 These Lighted Pom Pom Topiaries are perfect for party decor, fairy gardens, and how cute would they be as place cards at a wedding or formal event?! 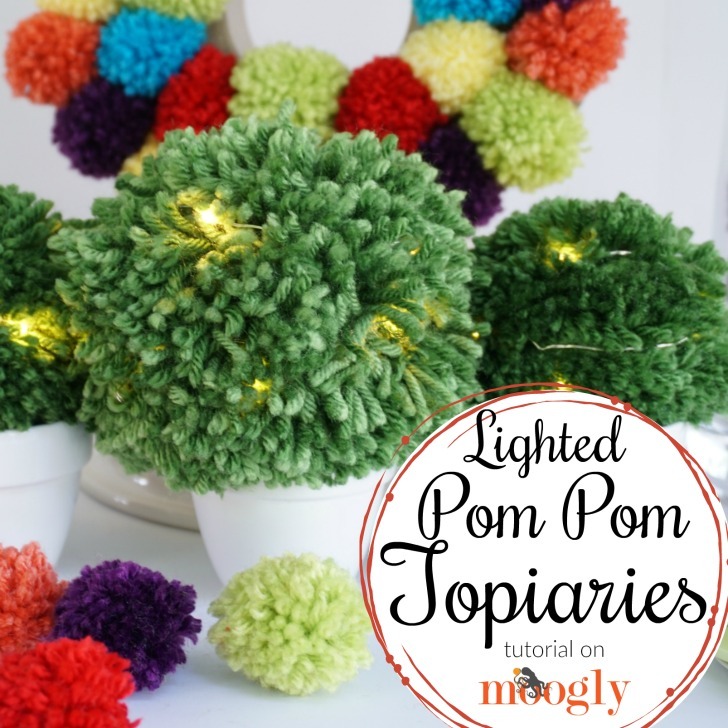 They come together in just minutes, and are a great jumping off point for other ideas too… Here’s how to make Lighted Pom Pom Topiaries! 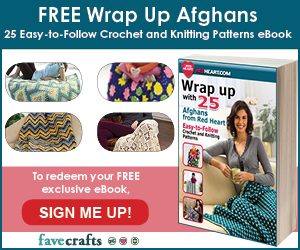 Disclaimer: This post was sponsored by Clover USA; the post includes affiliate links. 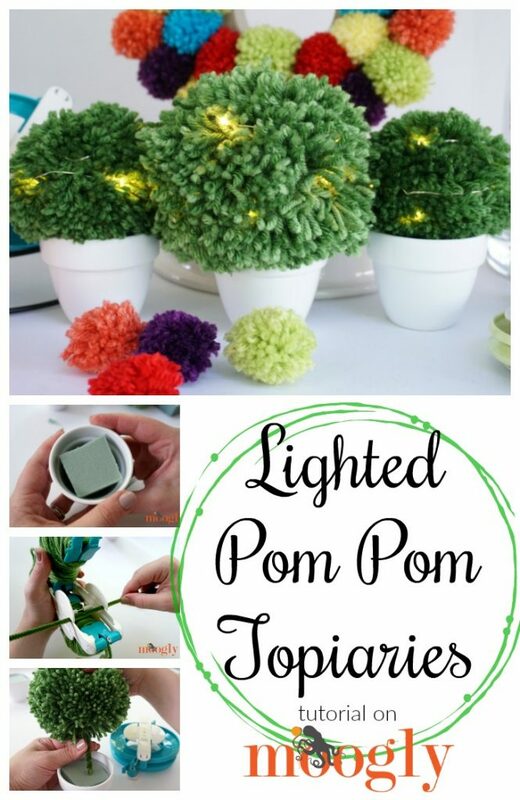 To make the Lighted Pom Pom Topiaries, you’ll need yarn (Lion Brand Vanna’s Choice shown), small sharp scissors, Clover Pom Pom Makers – available at Clover USA, Amazon US, Amazon CA, Amazon UK, Amazon DE, small flower pot, floral foam, chenille stems (aka pipe cleaners), and LED mini lights (optional, purchased at my local JoAnn Fabrics). 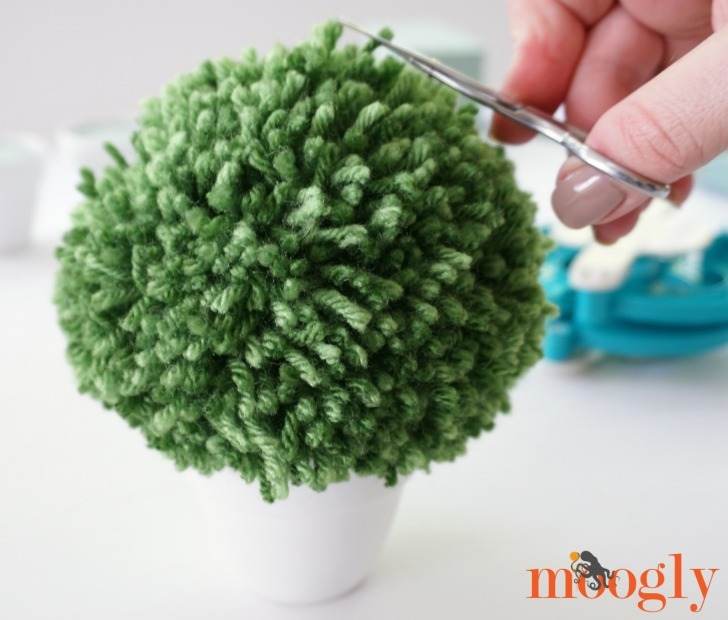 Instead of the floral foam and chenille stem you could glue the pom pom to the jar – or do it as shown for a changeable set! 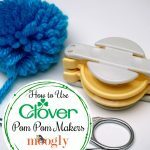 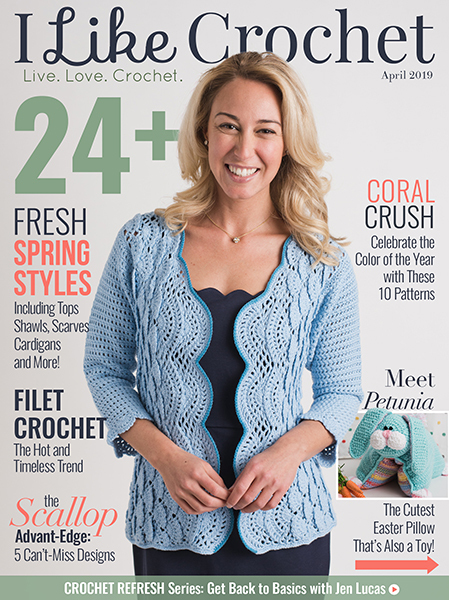 STEP 1: Wind a large pom pom using a Clover Pom Pom Maker – CLICK HERE for a step by step tutorial. 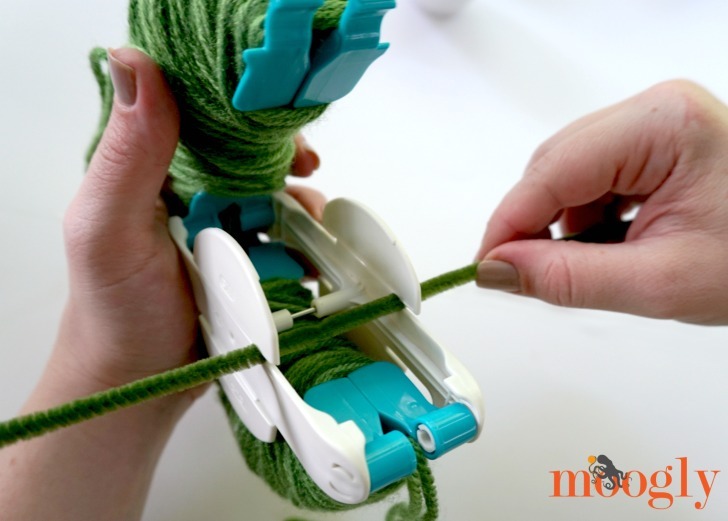 Before closing the second set of arms, insert a chenille stem as shown below. 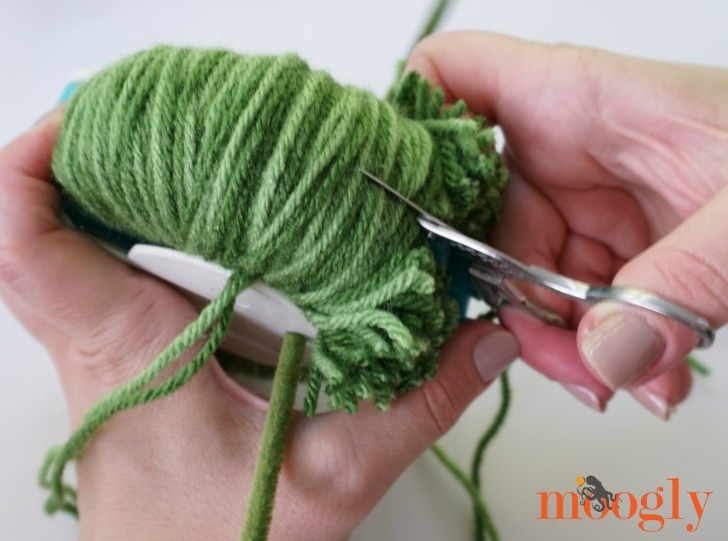 STEP 2: Cut and tie off the pom pom, keeping the arms closed while cutting and tying. 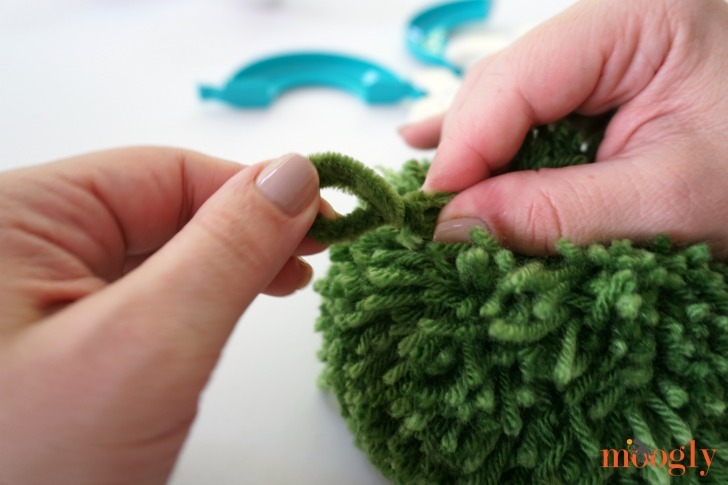 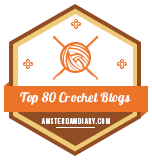 This will enclose the chenille stem inside the pom pom. 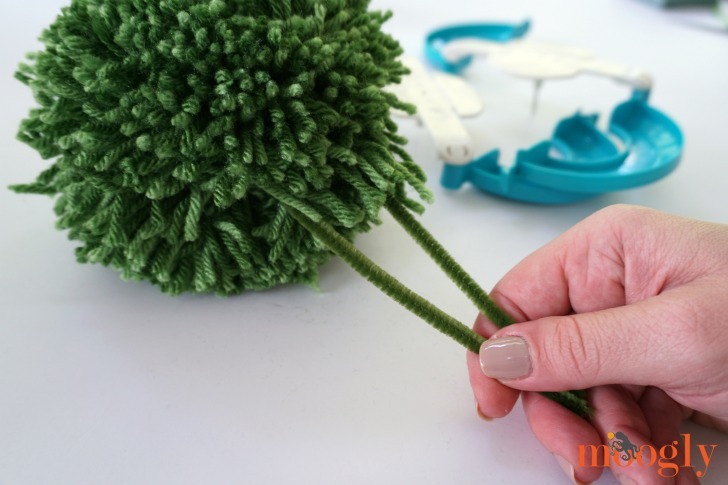 STEP 3: Fold the halves of the chenille stem together, and using your fingers, twist and fold the stem ends together to create a strong trunk for our pom pom tree. 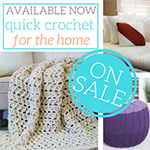 Set aside for a moment. 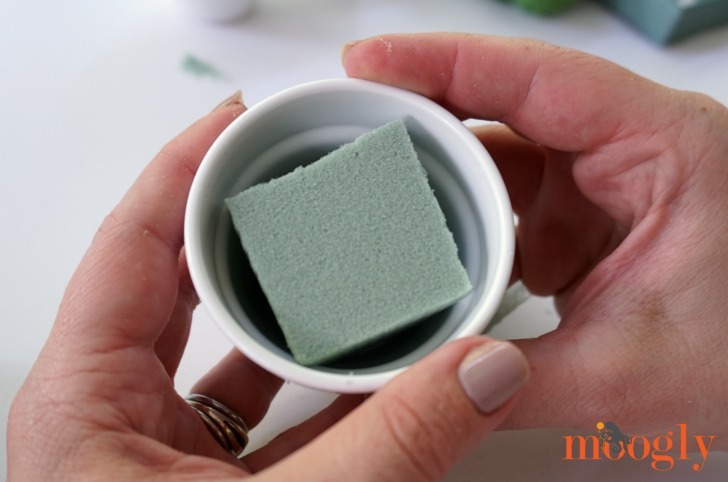 STEP 4: Cut the foam to size and insert it in your pot. 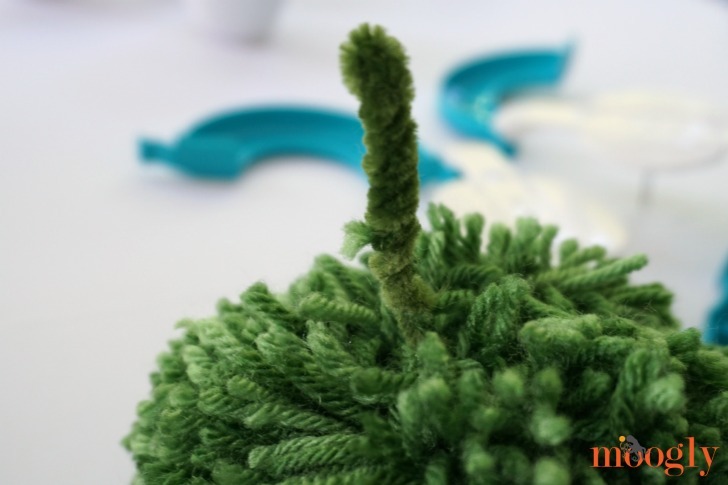 STEP 5: Insert pom pom tree trunk into foam. 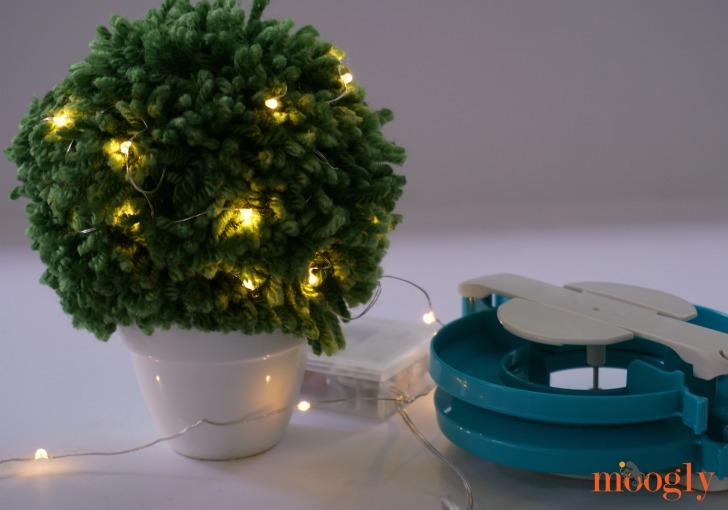 STEP 6: Trim wayward “branches” and if desired, add tiny lights! 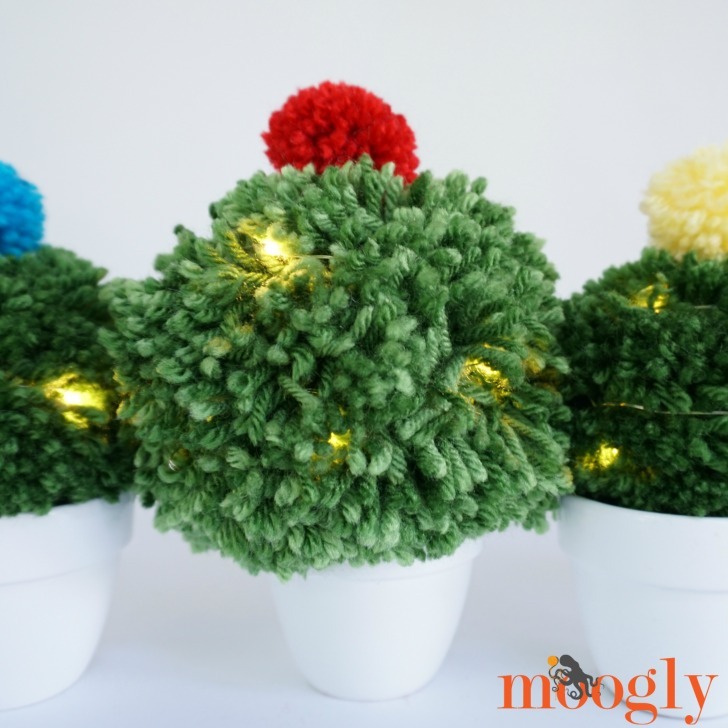 These Lighted Pom Pom Topiaries would also make great pom pom cupcakes…. 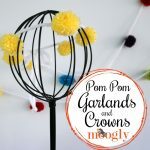 Looking for more great pom pom ideas? 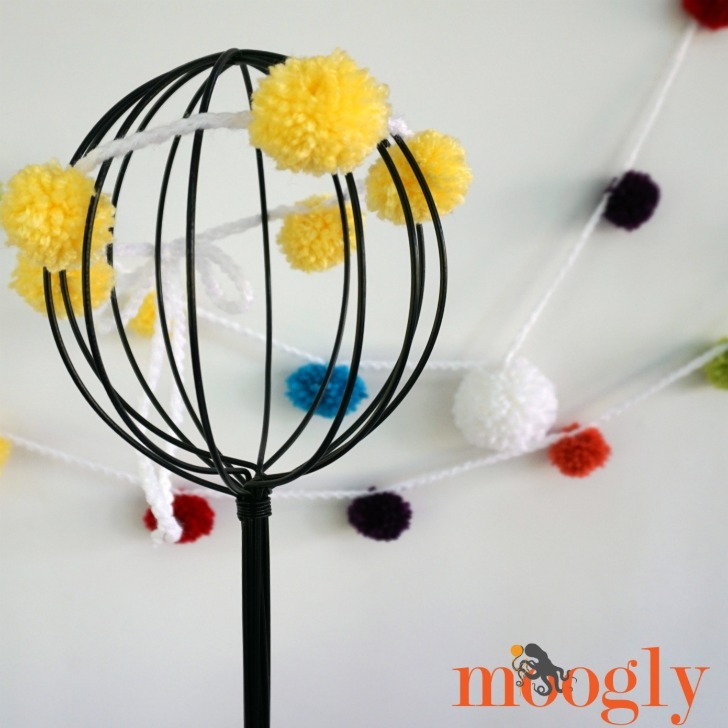 CLICK HERE to go to the Clover Pom Pom Party on Moogly! 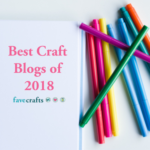 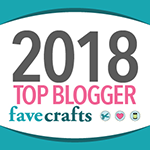 Follow Moogly on Facebook, Twitter, G+, Pinterest, Instagram, and Tumblr, and don’t forget to sign up for the free newsletter at the top of the page! 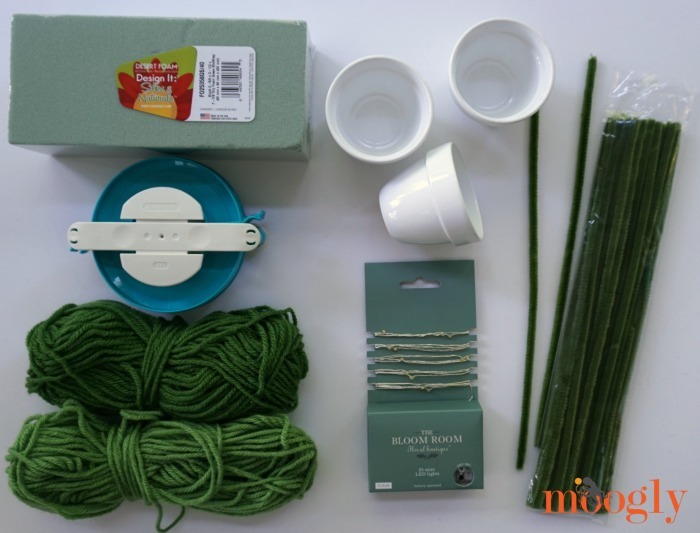 This post was sponsored by Clover USA. 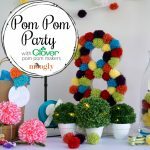 How to Throw a Pom Pom Party for Kids with Clover!